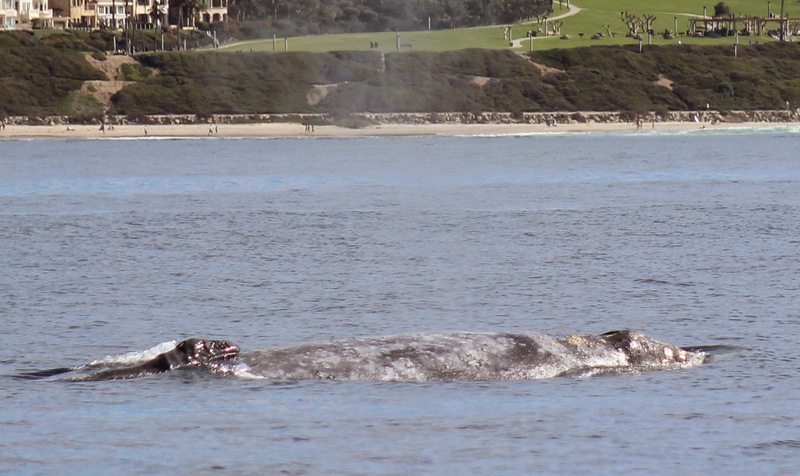 We know we have a lot of readers in our local land of Southern California and one of our favorite gift ideas for a locals gift is a Dana Wharf whale watching tour. The photo above was taken a couple years ago on a trip where we happened to spot a very young baby with mom in the distance. Bring your good lens, and your best friends and see some of the most beautiful local creatures in the wild. 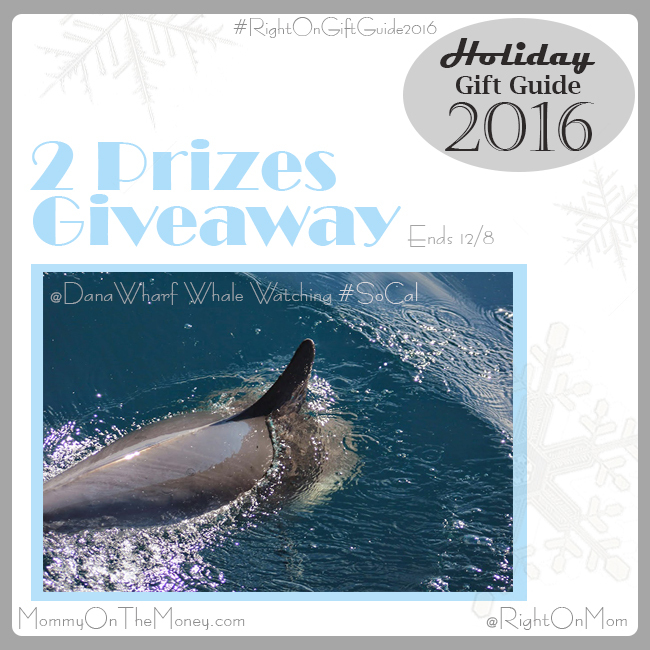 We are also happy to share that Dana Wharf Whale Watching is part of our #RightOnGiftGuide2016 and will be sponsoring TWO packs of FOUR tickets each to 2 lucky winners! 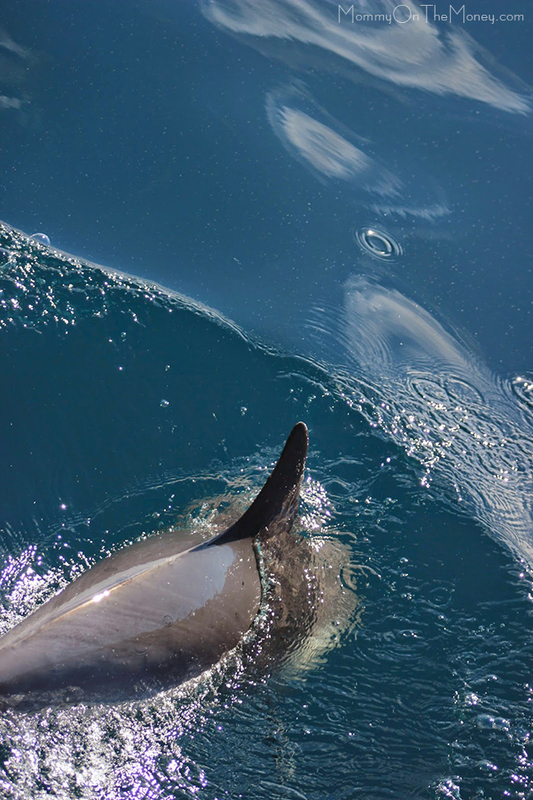 If you are looking for a great gift idea of someone who lives in Southern California I highly recommend the tour of a lifetime Dana Wharf whale watching tour where you are pretty much guaranteed to see beautiful wildlife in its natural habitat. Or here's the chance for TWO people to WIN a tour for FOUR! We are So excited to be giving away TWO packs of FOUR tickets for a Dana Wharf whale watching tour. *Dana Wharf is the Giveaway sponsor and is responsible for the prize. In the event that the prize is not available they may substitute item(s) with an equal value prize. MommyOnTheMoney.com is the host of this giveaway and can be contacted via right sidebar. Giveaway is not associated with or endorsed by Amazon, Facebook, or their associates. Winner will be contacted via email and will have 48 hours to claim their prize or we will select another winner. We will not be providing transportation to or from Dana Wharf. What a photo cut in real time.